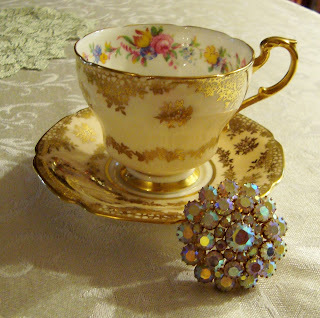 Martha's Favorites: FOR THE LOVE OF FAMILY & TEA CUPS! My son, Kyle, went to Batman on Saturday. It made me nervous. Can you just imagine sending your children to a fun time at the movies and your life changes forever? Feeling helpless, all I can do is pray for the families and pray for our Country. We need to turn our hearts to God. I had the Princess Maya this week again and we went to see the Cleopatra Exhibit. 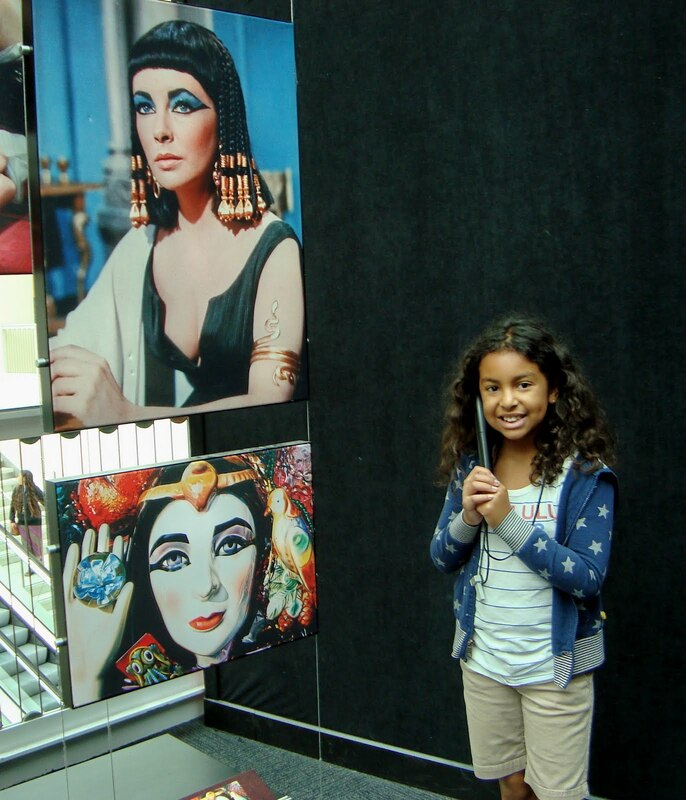 Before we left we had a little bet about whom was the most beautiful, Cleopatra or Maya. She was very worried and looked very hard to see if we could compare. She was unaware that there are no pictures or statues of her. They were all destroyed. 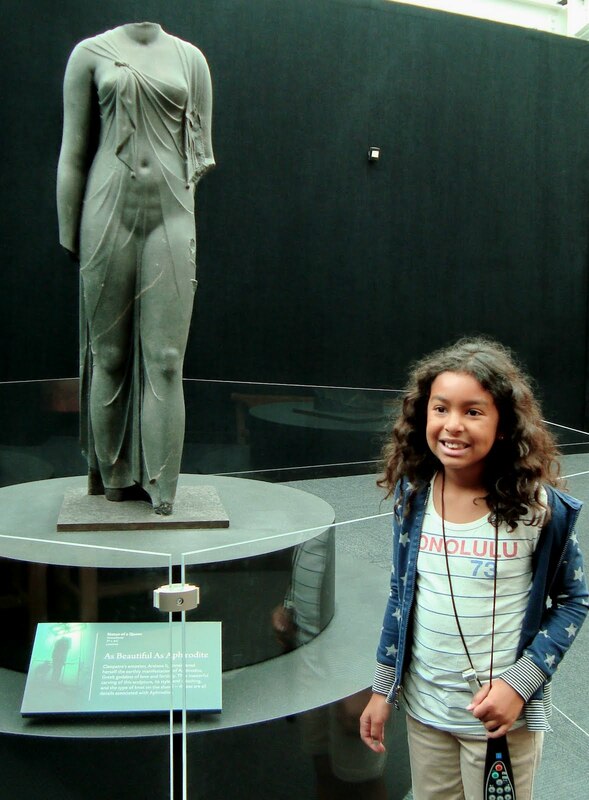 So we compared her to this statue and voted, Princess Maya had to be the fairest, after all, Maya still has a head. It was so much fun playing with her. The Exhibit might have been a little over her head, but it was a fun time with her anyway. I will continue to share green cups with you today. There is something so soothing about the color green. It has been in the 80's here, that is hot for Los Angeles, so it also helps keep things feeling cool. The first cup I am sharing today is a Mustache Cup. It reads "Think of me", it is Bavarian. The cup is also Lusterware, however some of the Luster is gone. It still is a favorite just the same. Cup No. 2 is a Paragon, remember the one I told you I purchased this last week? It is was purchase at a Thrift Store for $6.00. I love the golden color on this one. I do not think I have ever shared a picture of my dining room. So I thought I would do that this week. Since, I am feeling unsure that tea cups are appropriate today. I hope you don't mind. If you think of it, please pray for me, I guess I am not coping with this as well as I should be. (I never do!) I think I just need a good hug too! Anyway, I don't think I have shown you my dining room since Christmas. I am currently hosting two Japanese visitors in my home. They speak very little English and I speak no Japanese. So it is interesting, they will be here two weeks. 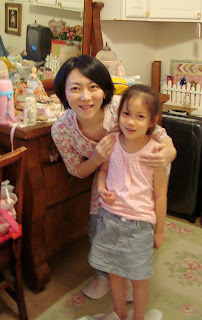 They seem so sweet to me, Ayako and the little girl is Ericka. We spend a lot of time smiling. She has a great smile, it blesses my heart. Here is Mr. Linky for this week. Sorry for the melancholy post. I will do better next week, I promise. You have such a pretty little angel to do fun things with, and what a NEAT exhibition! I am saddened by this horrible tragedy, too - consider yourself hugged. Praying for our crazy mixed up world, too. 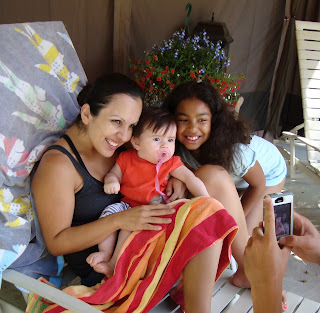 Thanks for sharing your gorgeous dining room and your beautiful words, and family. My son and his girlfriend went on Friday night even after this tragic news. Hugs to you. I feel what you feel for Aurora, we have an auctioneer friend that lives there and goes to that theatre. My prayers are with them, also, we had a tragedy in Toronto (many) just before this one, so sad. My daughter and her friends were at the midnight premiere in the little town near us that night. I always tell them to be aware of their surroundings at all times - you just never know. What we need to do is to keep on doing what we do - we do a good thing here - sharing, encouraging and well doing good things - that is the victory here - and to lay all our faith, hope and trust in God. He will take care of those who are evil - and that guy - he is evil. I really enjoyed your dining room. The mantle and picture over the buffet are so beautiful! Maya is so lovely! and you visited one of my favourite women in history.. Cleopatra. How wonderful to host international visitors, I'm certain you will all communicate and understand each other in no time. 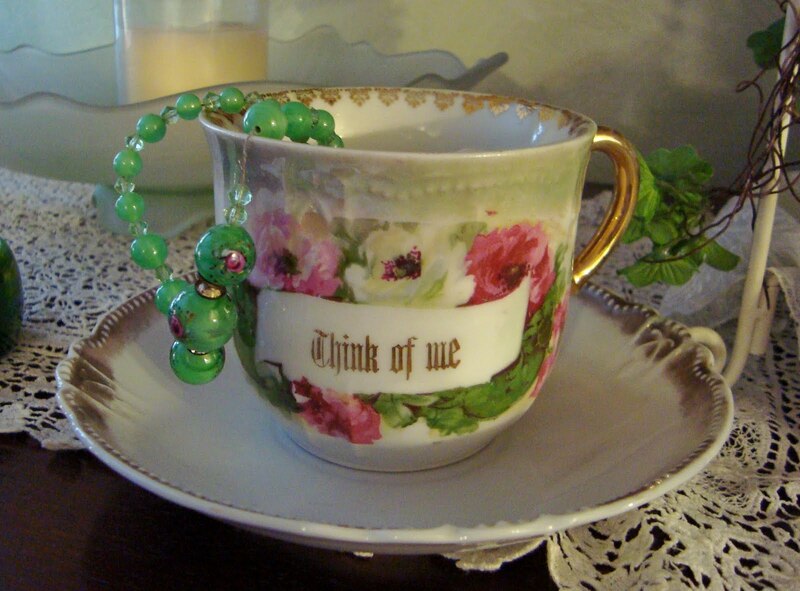 Your teacups are always so pretty! Thank you for sharing. 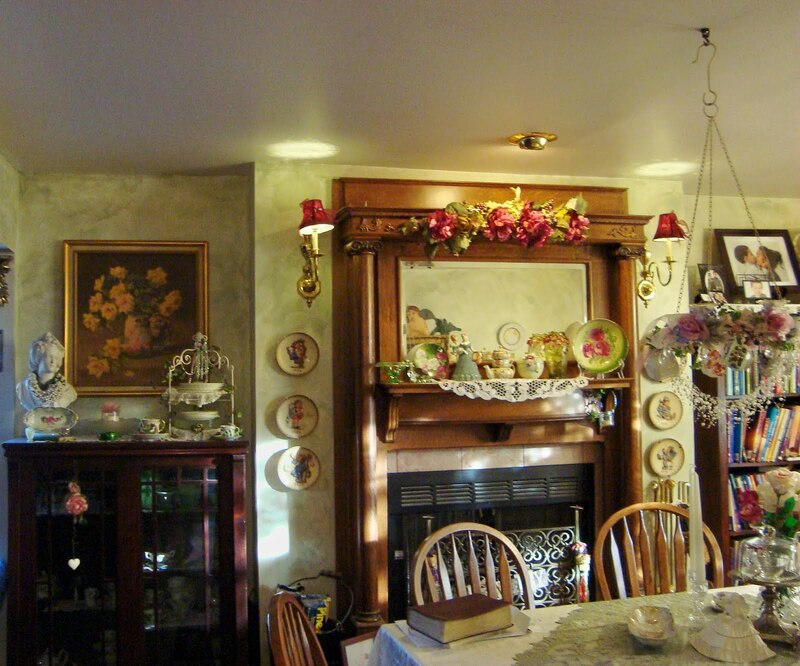 Love your tea cup and your dining room is beautiful! I am also praying for the families that lost loved ones. Consider yourself hugged, my friend! It was a terrible tragedy and as long as we live in this world there will be more, unfortunately. We can pray. You have a wonderful dining room and a very sweet granddaughter! 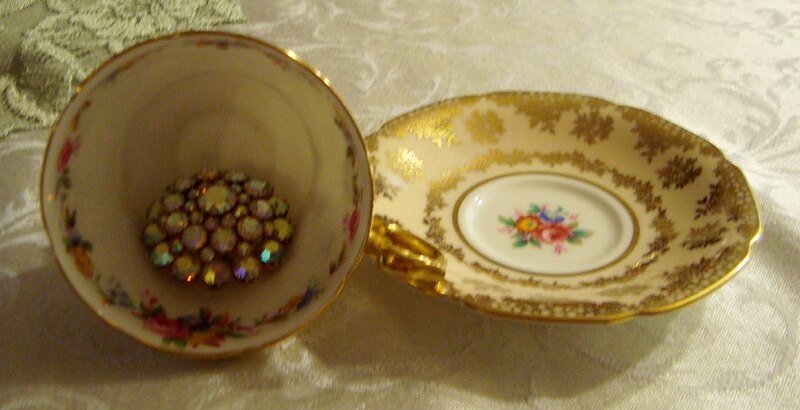 Pretty teacup too. You have such a beautiful family, Martha. Lovely teacups as always and the bling!!!!!!! Happy Tea Day! Your cups today are beautiful and well chosen. My heart sings over the second cup! Wow, love that gold and yellow and the flowers too! Princess Maya is a beautiful girl. It is great to see her enjoying her self. 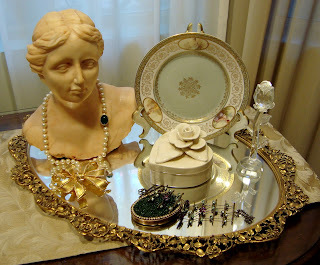 Gorgeous post..the second tea cup stole my heart..i love it..and I love your beautiful home..totally fabulous..warm, inviting and enchanting!! Beautiful!! HUgs..yes such sad news, wishing you brightness and blessings and sending positive sparkles your way! Hello Dear Martha...It's okay to be melancholy. The events in Colorado sadden all of us. Imagine how it must make God feel....He gives His children so much and then, mayhem for no good reason. His heart must be so heavy, too. Humans are sometimes hard to figure out and hard to deal with. 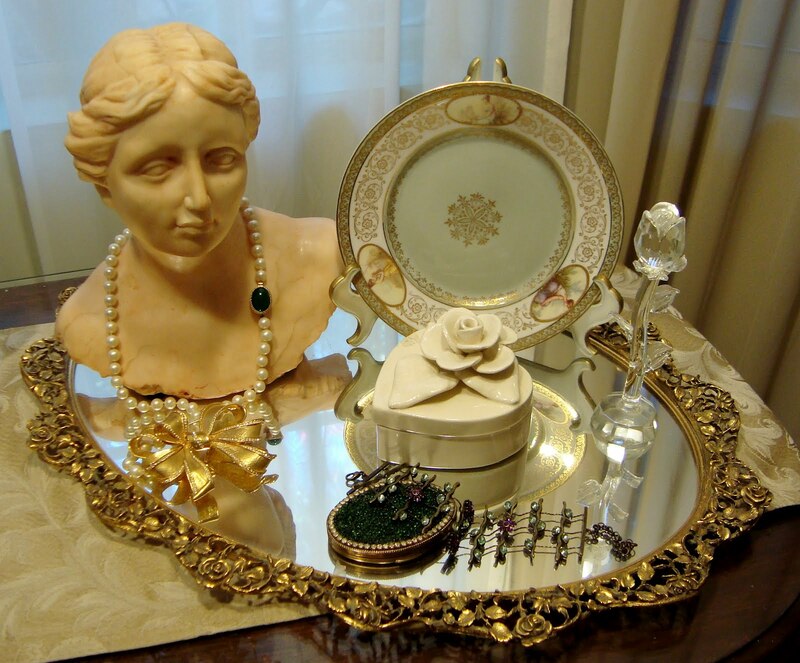 Martha, This is a lovely post and I appreciate you sharing your heart, as well as a couple of pretty cups :) Your girl is beautiful and it sounds like you had a wonderful and blessed visit. Sending hugs your way and praying for peace that surpasses understanding. It is a tragedy what happen in Colorado. I think it's wonderful that Christian Bale visited the shooting victims of the Colorado tragedy. Many Churches & Christians are gathering together to pray! God is Good! 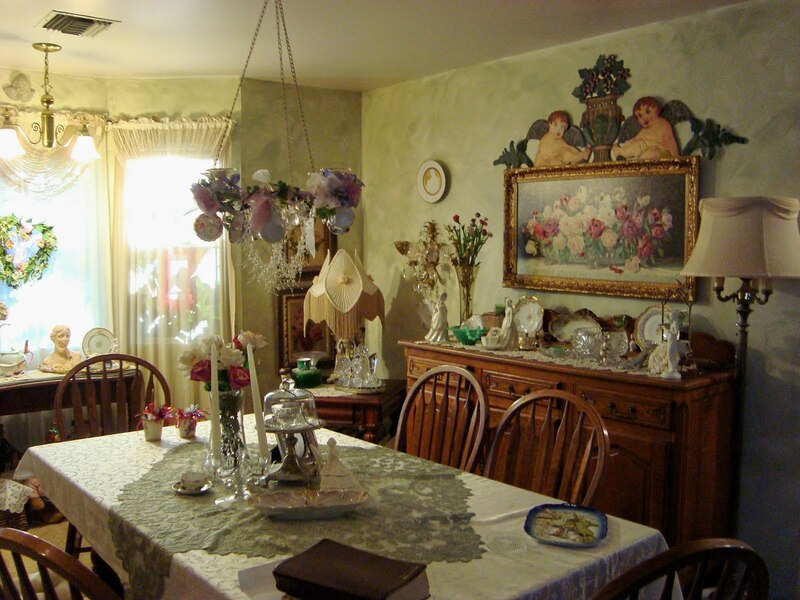 Thanks for sharing your lovely photo's of your dining room and beautiful teacups. Everything looks lovely. It's wonderful that you have opened your home to this young lady and her daughter. Beautiful post! Thanks for hosting. Dear Martha, it's ok to feel a bit down, I think we all do. We live in a crazy world and it's really sad realize that such things are possible. This old world sure needs our God! Your cups are so pretty. I love Paragon cups...they are a delight. Hi Martha, thanks for stopping over for a visit to Quirky Vistas and for following. I'm glad you did because that's how I found you! I'm now following as well. 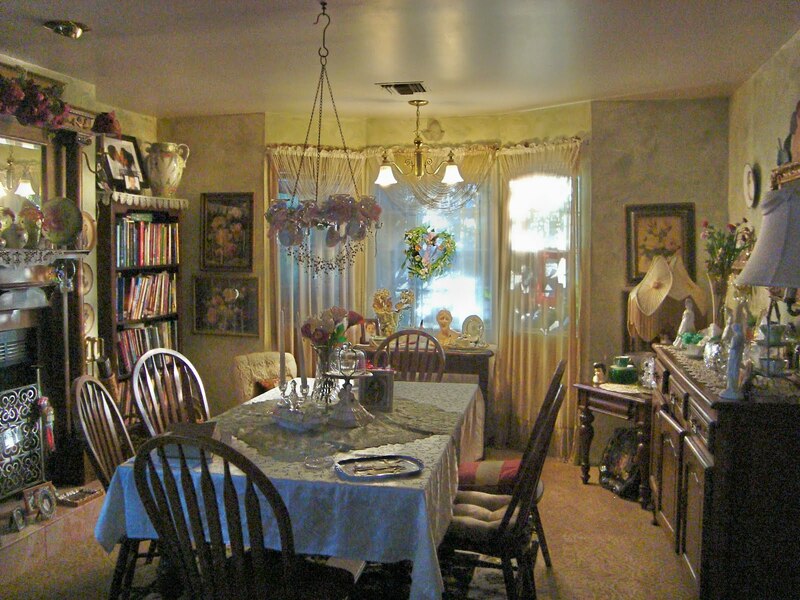 I enjoyed getting a glimpse of your dining room. It's lovely! Hope you'll come by and see me again sometime soon!